ORILLIA, Ontario — After growing up around the race tracks watching her father race, Karlie Wilman will be getting her chance behind the wheel this season at Sunset Speedway. “I am feeling nervous and excited; however, I want to go out and have some fun and keep my car in one piece,” she commented. 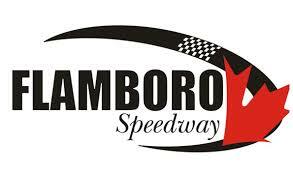 Wilman will begin her racing career by joining Sunset Speedway’s ever-growing Bone Stock division that has seen several new rookies throw their name in the ring this year. “Bone stock is the new starting class and being a rookie driver, I believe this would be the perfect class for myself,” she reasoned. She went on to add that the class’ growth will also bring forth a good amount of competition to learn from. “I feel that there is a lot of good drivers in this class and it is hard to determine what is going to happen this season,” she continued. Entering the season, she is keeping her goals in perspective, ready to go out and enjoy herself while completing as many laps as possible. “My expectations are being able to learn to the best of my ability and to progress further in this sport,” she added. As she continues to learn about motorsports, there will be experience surrounding her to offer advice, from her father Doug Wilman to Lance Foster. Wilman won’t be the only SKLD Motorsports Bone Stock entry for 2019, as her boyfriend Andrew Shilling will be competing as well. For Wilman, racing is something that has been in her blood since she was young age, with the passion everyone has surrounding her intriguing her interest and causing her to get further involved. It is also easy to understand for that reason her dad is her racing hero. “He introduced me to racing, and when he started racing I was happy to be involved with the team,” she commented. Karlie Wilman’s marketing partners will be announced as we get closer to race season. Be sure to keep up with SKLD Motorsports all year long by liking their facebook page at https://www.facebook.com/SKLDMOTORSPORTS/. By: Ashley McCubbin/AM Marketing – ashleymccubbin17@gmail.com.